It is opened from 5am to 5pm but going early in the morning is the best time. 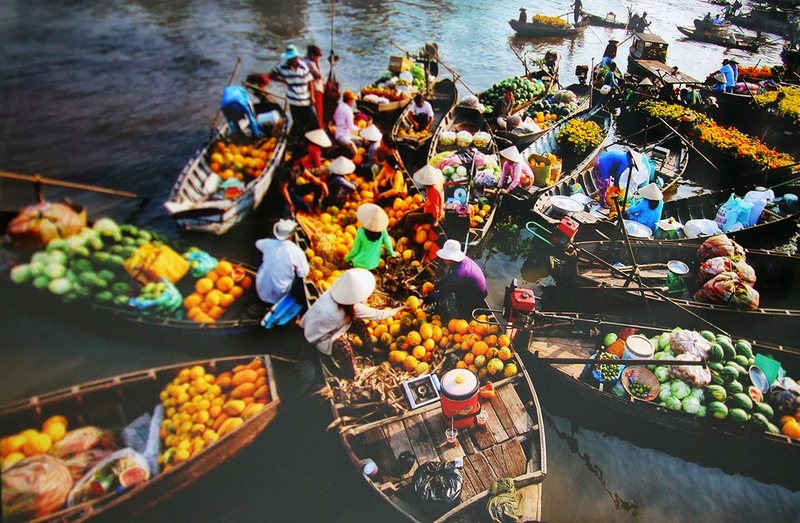 This dazzling river market is worth visiting. 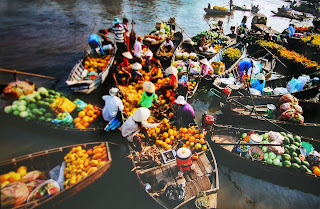 Wholesalers on big boats moor here, each specializing in just a few types of tropical fruits or vegetable, hanging samples of their goods from tall wooden poles. Especially the huge and photogenic Catholic cathedral on the riverside is definitely a mesmerizing backdrop to enjoy and photograph. 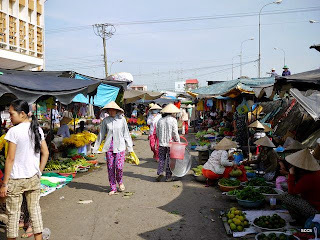 Besides the floating market, you should visit a land market to see the distinctive differences between floating market and the land one. Here you will observe how locals make coconut candies, pop rice, rice paper or some hand-made products. Sample some of them and buy if you want. 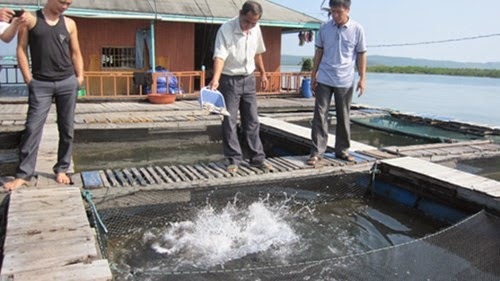 Not only famous for markets but also the fish farm where thousands of fish are raised in a large fenced area under a floating house. You get a glimpse of everyday life of locals living on and along the water.